April | 2017 | Curiousity? I made this one for a co-worker and very awesome lady who’s expecting to give birth Real Soon Now. 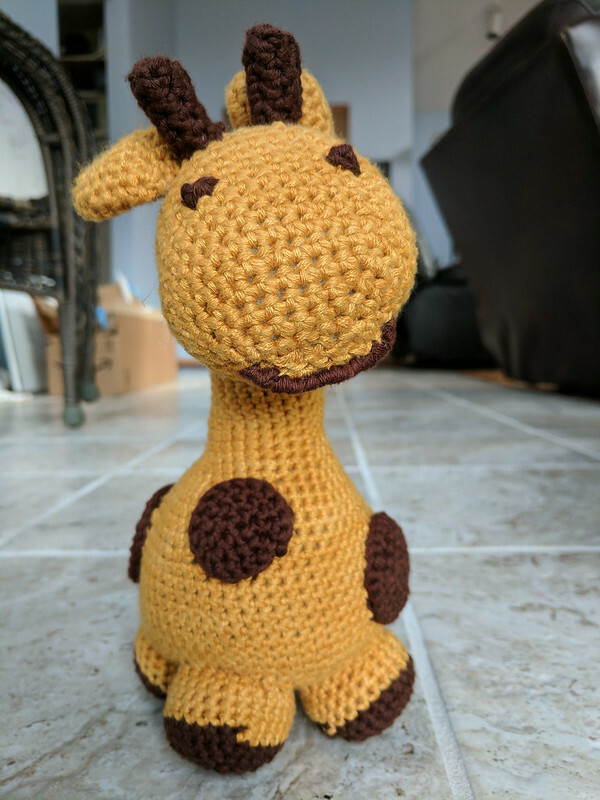 With the whole internet waiting for April the Giraffe to give birth, a giraffe seemed like an extra-appropriate baby gift. 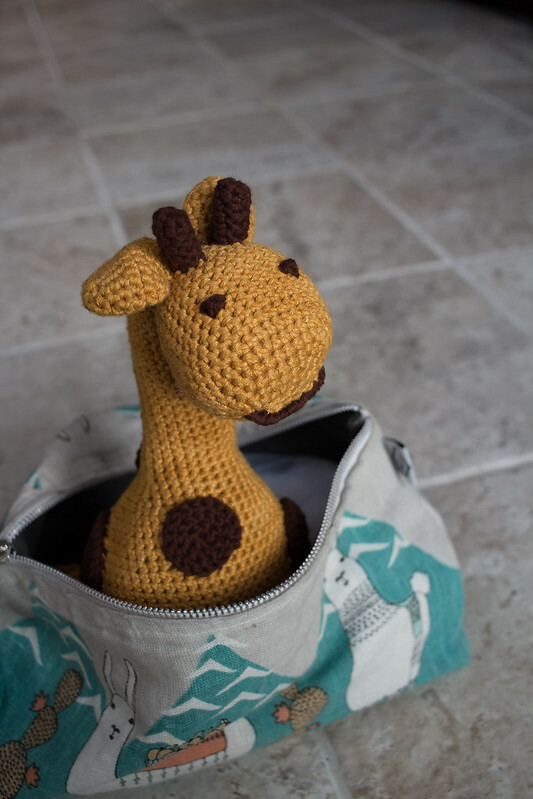 Since the gift has been gifted and the giraffe has given birth, now’s the time for a blog post! 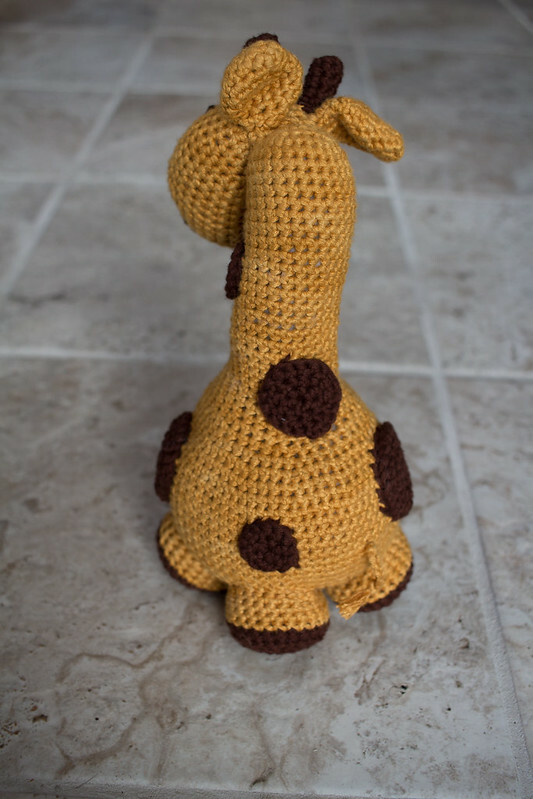 Pattern: Gigi Giraf. 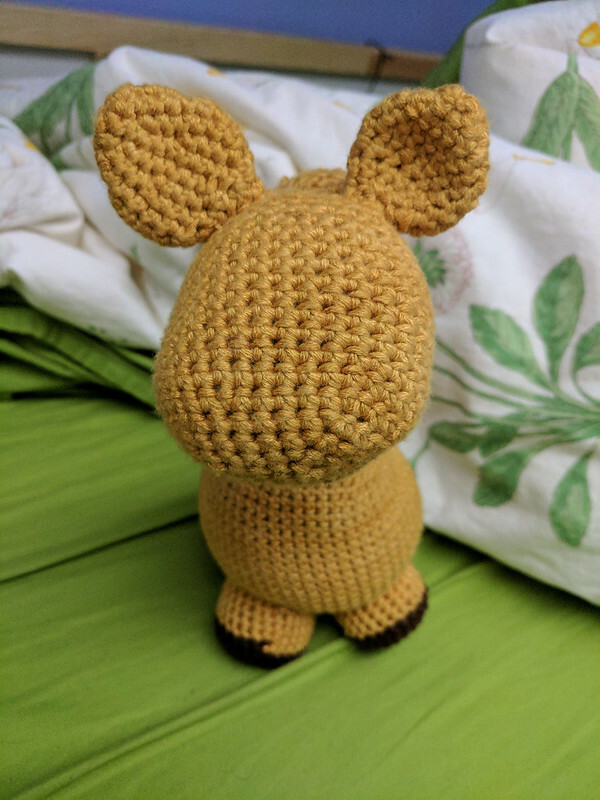 You might recognize this one, as I’ve made it before, and used it as a base for a moose I made for another colleague some time ago. It’s a great pattern! Yarn: Be Sweet Bamboo for the base colour. I love using this yarn. 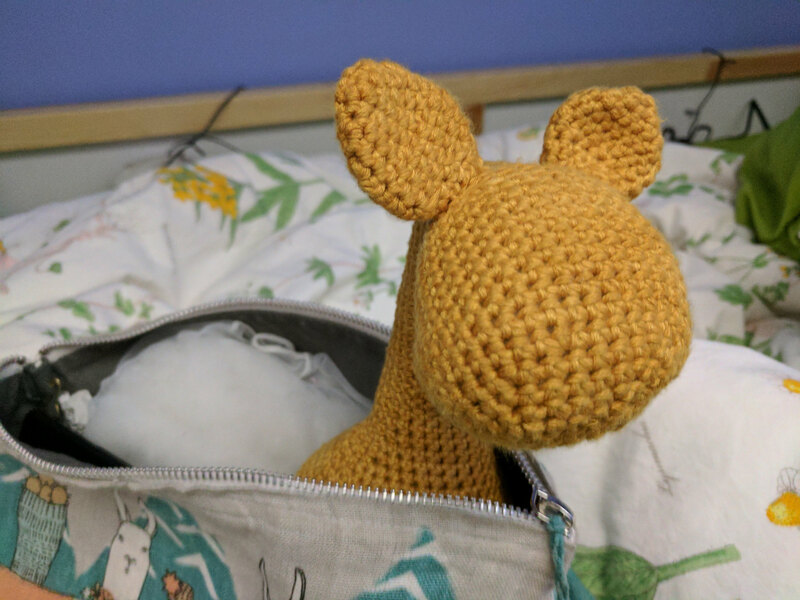 It’s so very soft, shiny, and it’s got a neat and very subtle tonal going that really works for giving some depth to the amigurumi. I immediately bought most of the colours for my next few amigurumi projects. If you’re local to me, Black Sheep at Orenco has it, and it’s worth trying! The brown is Nova Plus Four Seasons Cotton. This is a nice soft cotton made of many tiny strands. I love how it feels when crocheted up, but it was a bit easy to split while I was working with it unless I wound it up a bit as it went. I should have taken some more in-progress photos, but here’s one more before it got its spots! 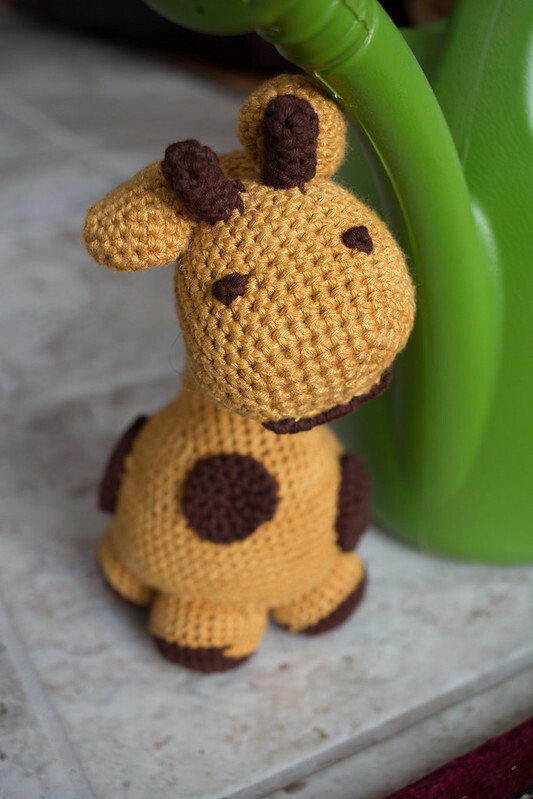 Posted in amigurumi, crochet, gift.